I was introduced to yoga at the age of sixteen, and since that time Yoga has been an integral part of my life. I have studied Yoga with many different teachers, who each had their own unique approach to the practice of Yoga. In 1995 I completed a 12 month Teacher Training Course with Friends in Yoga (FinY) Inc. In 2000 I became an instructor on the FinY Teacher Training Course, and in 2002 I took on the position of Course Coordinator. I held both positions until the end of 2009, when FinY as an incorporated body was disbanded. I am now a guest presenter on the Friends in Yoga Teacher Training Course operated by Joanna Wakefield. 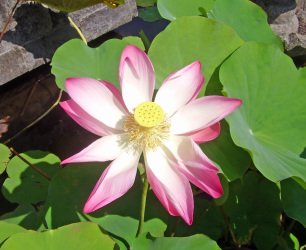 In 1998 I founded the Golden Lotus Yoga School, and currently teach a variety of classes in Perth, Western Australia. My teaching is founded in the classical Hatha Yoga style, focusing on the development of inner well being through breathwork, postures (Asanas) and relaxation/meditation techniques. My first experiences of Bali were in the late 70's, and I fell in love with its natural beauty, and the spirituality that is at the heart of daily existence for its people. After visiting Bali again in 2005, I was inspired to conduct yoga and cultural retreats. My vision is to share the Bali that lies beyond the popular tourist areas, and offer participants a variety of cultural experiences.